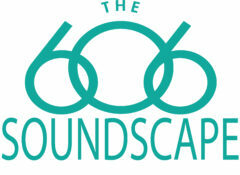 Coinciding with activities on The 606 is the #SoundCon x World Listening Day virtual symposium. This live, online broadcast of presentations on the theme of “Sounds Lost & Found” takes place on July 17 and 18. Visit SoundCon.org to view scheduled presentations. Below is the virtual symposium schedule as of July 16 with direct links. * Leonardson’s presentation follows the “Sounds Alive Treasure Hunt” event ENDING AT 7:30 Sunday. Artists aren’t just in museums and schools, they’re in the parks (this Saturday)!